Earlier this year King.com brought its smash hit Facebook game Bubble Witch Saga to iOS, and there was much rejoicing, as well as a little gnashing of free time. Now it's Candy Crush Saga's turn. 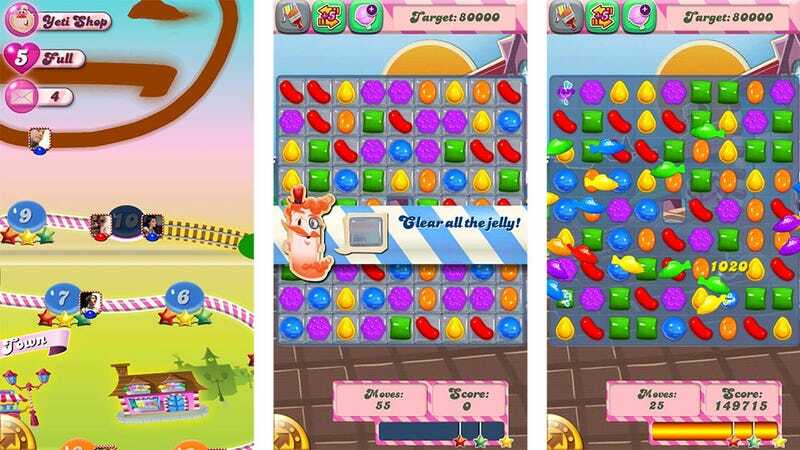 Regularly showing up on the most played Facebook games list along with its older siblings, Candy Crush Saga is a matching puzzle game of the magical journey variety. Each of its more than 125 levels transports the player further along a path, passing friends along the way. It's got a colorful and quirky style that's hard to resist, and now that it's on iPad, iPhone and iPod Touch there's really no reason to.